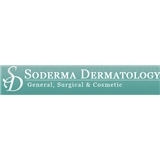 Soderma General, Surgical & Cosmetic Dermatology (Laurel) - Book Appointment Online! Everything went very smooth.The doctor was very helpful and professional. He is also very good at explaining what is going on with your skin.